Between work and taking care of her three children, former TV producer Rita Mauceri had very little time to spare. Tired of scouring through an estimated 250 million websites on the Internet for the best bargains for products and children’s clothes, she came up with a solution. 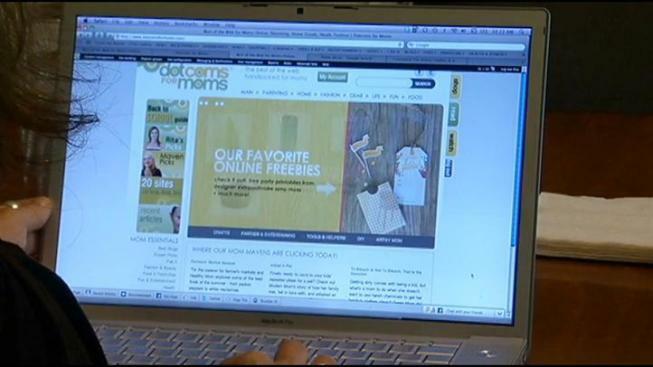 Mauceri created a lifestyle website in January 2011 called Dotcoms for Moms (DFM) for busy, modern moms like her. Many Web searches return pages and pages of results, making the Web experience overwhelming. However, DFM’s team filters through all the results and compiles the ones it thinks are the best on the website. The website has three ways users can find the products DFM put together. The Fab Finder helps moms find items at the best price, with two ways to shop: Mall or Boutique. The Mall search would give moms everyday items, cash back offers and other deals, whereas the Boutique search would show moms unique items. The editors consult stylists to help them put together a Get the Look style finder, allowing moms to browse expert picks fro themselves, men and children and find the style that they like. Users can also view and purchase Mauceri’s favorite websites and products through Shop Our Picks. The items are changed every month to fit a different trend, like August’s Back to School season, featuring a back-to-school guide. DFM also provides moms with information, appealing to all kinds of moms through the Mom Maven blogs. The Mom Maven blogs cover a wide range of moms. Artsy Mom. Green Mom. Rock and Roll Mom. And each blog provides tips and answers to questions moms may have. For the Top 20 section, DFM’s editors compile their top 20 websites under seven main categories: parenting, home, fashion, gear, life, fun and food. Under these categories are subcategories to help moms narrow their searches for information or products even further. Though Mauceri is continually innovating, her goal remains the same.